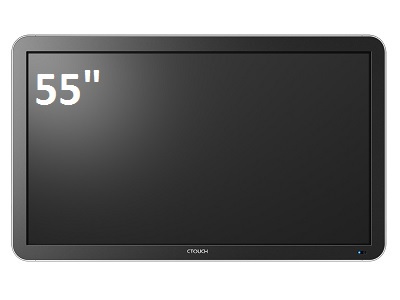 The 55" LED Interactive Touch Panel Display features a 5mm toughened anti-glare screen providing a full 1080p high definition picture with the option of 4 or 10 points of interactive contact. The leddura range also comes with the Ctouch OPS slot for attaching an on board PC it also has an optional high power soundbar for the complete solution. The elegant design means that the screen is not only suitable for education and meeting rooms but would not look out of place in any corporate boardroom. There are a comprehensive range of mounting options from basic wall mounting to a mobile trolley with swivel head so that the screen can be used like a desk. The CTOUCH Leddura models come with a full range of software and accessories to maximise their use in operation and flexibility in installation. 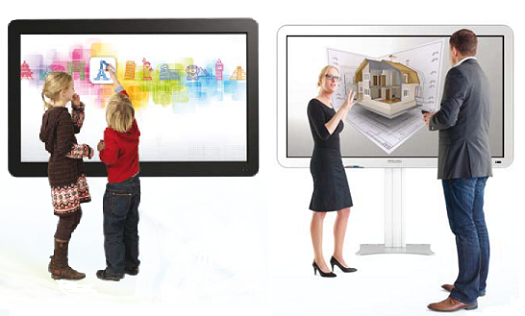 The screens can also operate on third party software not included like Smart or Promethean. There are 2 optional small factor PC'S that can be integrated into the leddura screens making the screen a one stop shop with no need for a connected Laptopm or desktop. 4 Or 10-point touch options.